I’m crazy about lamb. 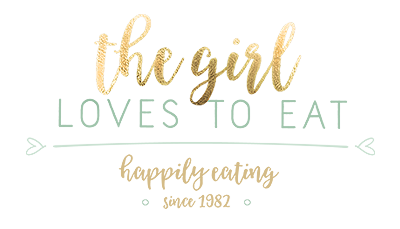 Always have been, whether it’s grilled lamb chops or a lovely roasted leg of lamb on special occasions. 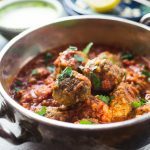 Minced lamb is a cheap and quick midweek option for when I am craving that delicious lamb flavour. 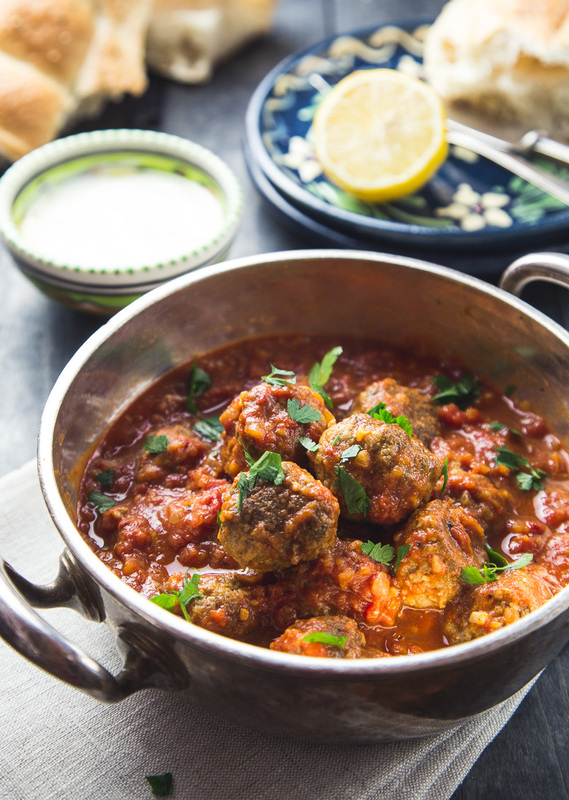 At the turkish supermarket of my choice on my way home from work, I pick up a pound once in a while and when I don’t throw it on the grill to make Lamb Koftas, I like to make something like those spicy moroccan lamb meatballs. 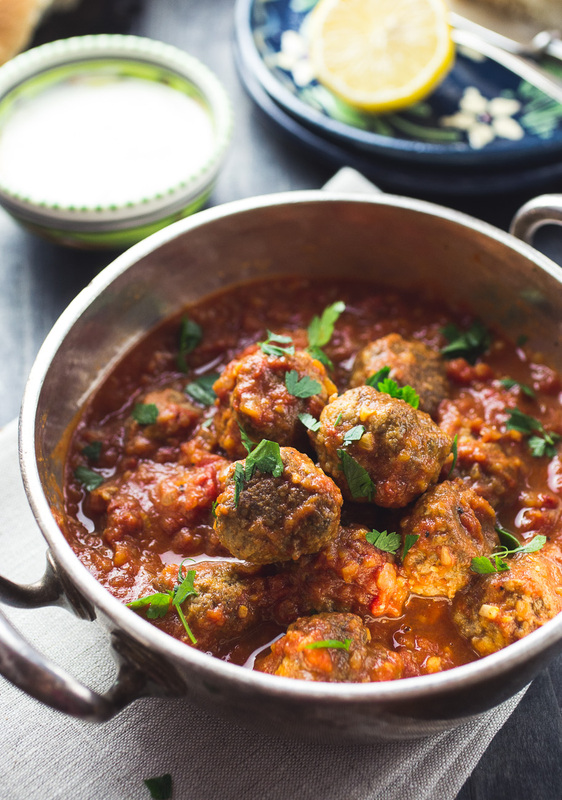 Juicy meatballs spiced with garam masala in a spicy tomato sauce. You can serve them with rice, couscous, bulgur or like I do: With a fresh yoghurt and some flatbread. Whatever you like really. 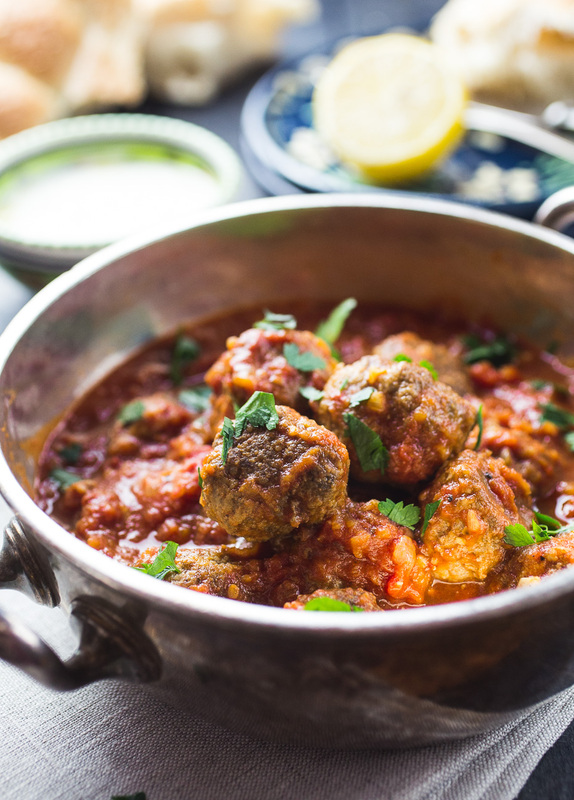 If you don’t like lamb at all, you could easily make this recipe with beef or pork mince, because all the spices will still give it a lovely oriental flavour. 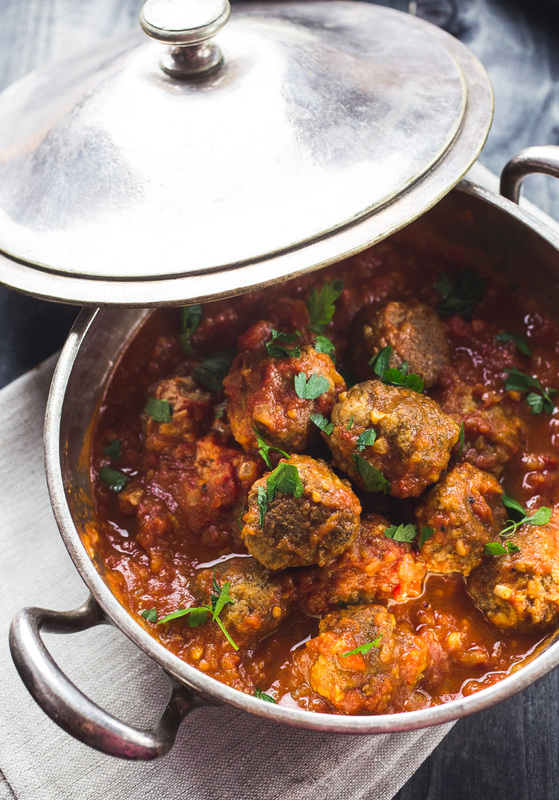 Juicy lamb meatballs spiced with oriental flavours in a spicy tomato sauce. In a small bowl mix the lamb with spices, egg and breadcrumbs. Mix well. Wet your hands with some water and form the meatballs. I like to make them roughly an inch thick, but you can always go smaller or bigger if you like. 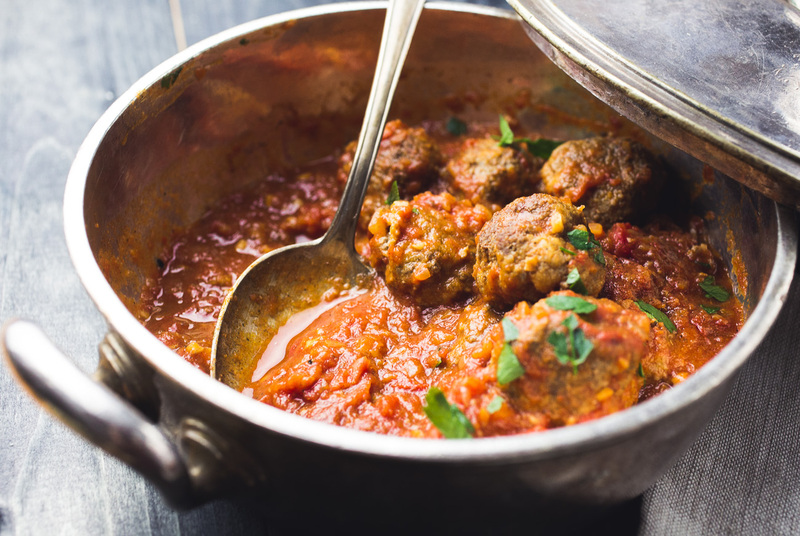 Heat a splash of oil a pan over medium to medium high heat and add the meatballs. Fry on all sides until they are browned. Don't worry of they are not cooked through yet. We'll finish them in the sauce later. Add onions and garlic to the pan and fry for about 3-5 minutes or until they are golden brown. Add the tomatoes, dried ginger, cinnamon, garam masala and chili flakes and let the sauce simmer on low for 10-15 minutes or until it has thickened. Meanwhile mix all the ingredients for the yoghurt together and set aside. Add the honey to the reduced sauce and adjust the seasoning with salt and pepper to taste. 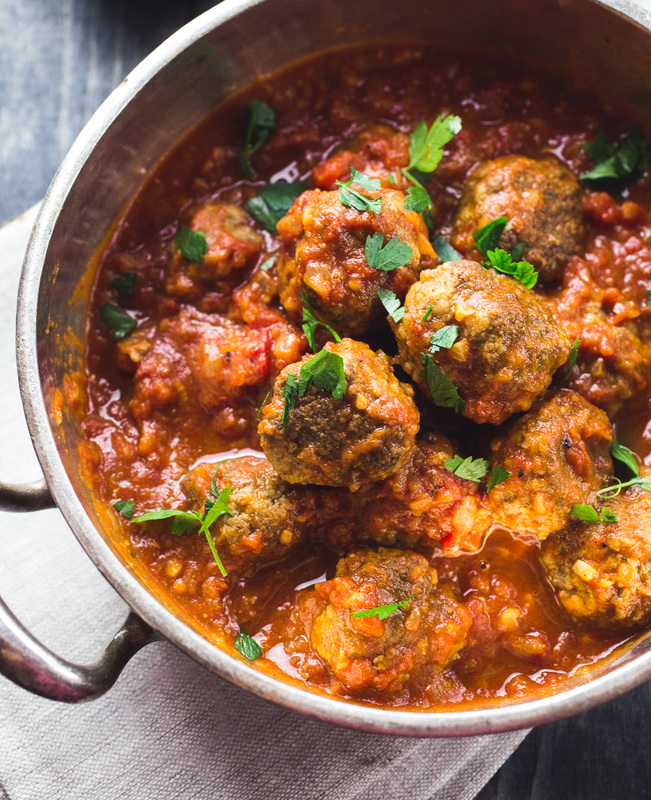 Finally add the meatballs back to the sauce and let everything cook together for another 5-10 minutes, depending on the thickness of your meatballs. 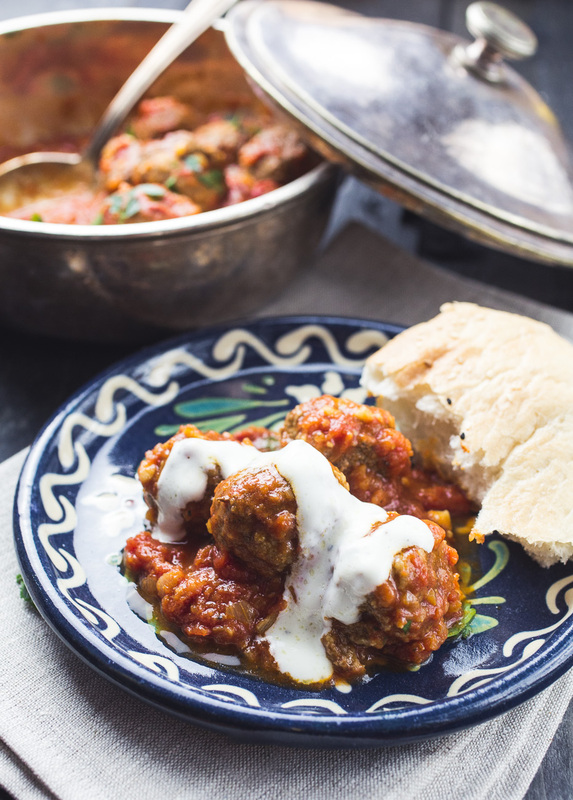 Serve with the yoghurt and some flatbread. As always you can adjust the amount of chili flakes to your liking. I only like a mild heat in my food, but feel free to make it spicier. Absolutely beautiful. Used yogurt and mint sauce on the top. Definitely one of my favourite meals. Thank you so much! <3 Glad, you liked it. Yum, yum, yum! Loved the balance of flavours. Will definitely make again. 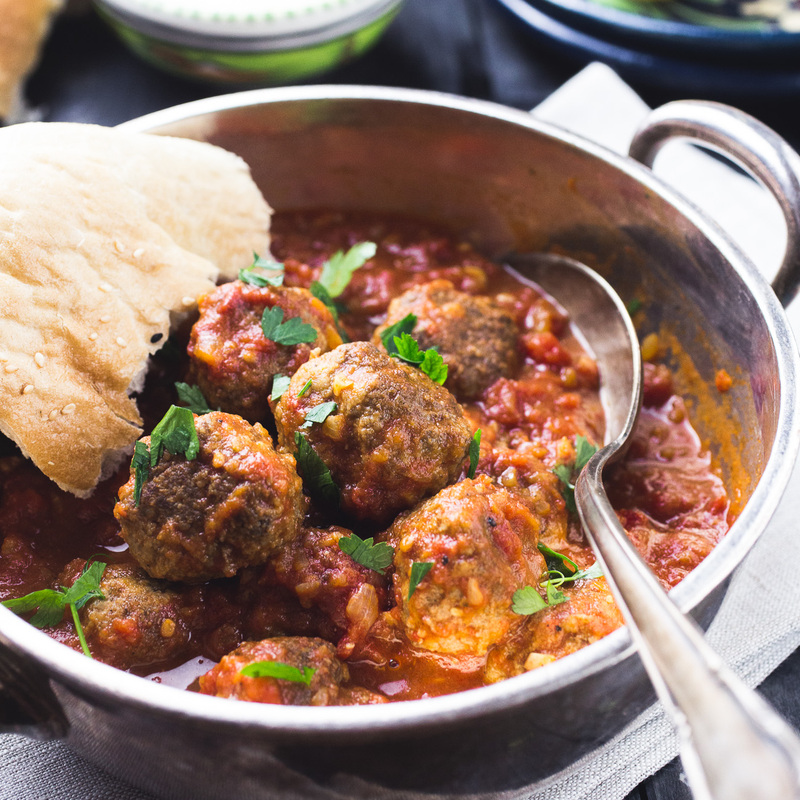 I just have to say this is one outstanding recipe! I’ve made it multiple times for my family and we just love it!! Thank you for sharing!